A polling station at Oklahoma County Election Commission offices. Republicans, Democrats and Libertarians will decide their nominees on Aug. 28 in nine statewide races and more than two dozen legislative and congressional contests. But if the past is any indication, far fewer voters will cast ballots in these important second-round runoffs than those who voted in the first round of primaries. The drop-off in turnout, and the cost of holding another election, have caused a number of state and national groups to pose the question, Should Oklahoma abandon the run-off? An Oklahoma Watch review of election data found that in the 51 statewide, legislative or congressional races that have gone to runoffs since 2010, turnout dropped in all but two of the races. Overall, an average of 28 percent fewer voters cast their ballots in runoffs than in the primaries that led to them. Candidates face runoffs when they fail to secure more than 50 percent of the vote. In these cases, the top two vote getters face off in a new election almost two months after the primary. The groups that are calling for Oklahoma to look at alternative voting methods include the Oklahoma Academy, a nonprofit, nonpartisan public-policy group that held a series of town hall events across the state last year to explore ways to boost Oklahoma’s historically low voter-turnout numbers. The issue of low voter turnout in runoff elections isn’t exclusive to Oklahoma. A 2014 study by FairVote, a nonpartisan electoral reform group, found that in the 184 congressional primary races that went to runoffs between 1994 and 2014, all but seven saw a drop in turnout. The average decline was 35.3 percent. After several states have made changes to their electoral systems in the past couple of decades, Oklahoma remains among the handful of states to use this method. According to a 2017 count by the National Conference of State Legislatures, Oklahoma is one of just seven states to require candidates to win a majority of their parties’ voters to move directly to the general election. Despite the recommendation to ditch runoffs from the Oklahoma Academy, several academic researchers and election-reform activists, little political will has emerged to do so. The few bills filed each year advocating any type of election overhaul rarely get out of committee, and no legislation to scrap the runoff has been seriously considered in recent years. Oklahoma Election Board spokesman Bryan Dean said the issue has been discussed several times over the years, but only the Legislature has the authority to make the change. Each statewide election – there will be three of them this year – can cost at least $1 million, and Dean said money has been a major obstacle to doing away with runoffs in favor of ranked-choice voting or other potential replacements. Ranked-choice voting is a type of single-round, instant runoff in which voters rank candidates, and second- or third-place votes are reallocated when a voter’s preferred candidate isn’t the frontrunner. “Buying a new system would cost upward of $20 million, which we obviously do not have in our budget,” Dean said. Dean added that overhauling the state’s voting processes could also confuse many voters who are used to the current format. 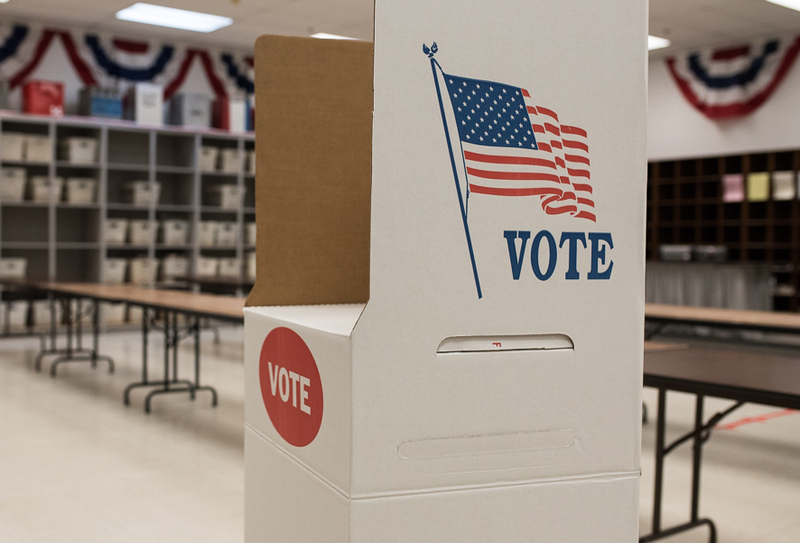 Julie Knutson, president of Oklahoma Academy, said she is hopeful that as early as next year lawmakers will introduce legislation to examine alternative voting methods. However, she said, the obstacles noted by Dean are valid and worth exploring. At the same time, lawmakers should focus on the long-term savings and potential to make sure voters feel like their votes count, she added. Nationally, the most popular format for voting is single-choice plurality elections, in which the top vote getter moves on even when they don’t win a majority of the votes. But states are increasingly experimenting with other formats, according to FairVote. One of those alternatives is known as a “jungle primary.” This method, which Oklahoma Academy also suggests Oklahoma explore, first has a primary that pits all candidates against each other, regardless of political party. The top two vote getters, which could be two Republicans or two Democrats, move on to the general election. California is the largest state to use this approach, though it has raised concerns within parties. California Democrats were worried that a flood of newcomer candidates for the June 5 primary would dilute the votes for Democrats so much that Republicans would gain the top two spots in many districts. That didn’t come to pass. Dean said the Election Board might be able to adopt the “jungle primary” method without the logistical and financial headaches that switching to ranked voting would cause. But he said it comes down to whether there is the political will to make it happen. “Ultimately, the decision belongs to lawmakers,” he said.